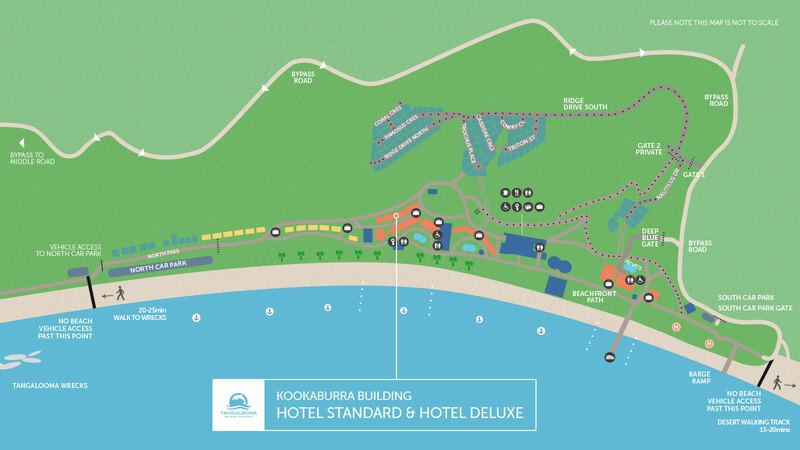 Comfortable and spacious and inspired by our stunning Moreton Island location, the Hotel Deluxe rooms in Tangalooma's Kookaburra Lodge are the perfect choice for couples or young families and can accommodate up to 4 guests. All Hotel Deluxe rooms feature air-conditioning, ensuite bathroom with walk-in shower, a hairdryer, a TV and DVD player, a mini fridge, tea and coffee-making facilities. 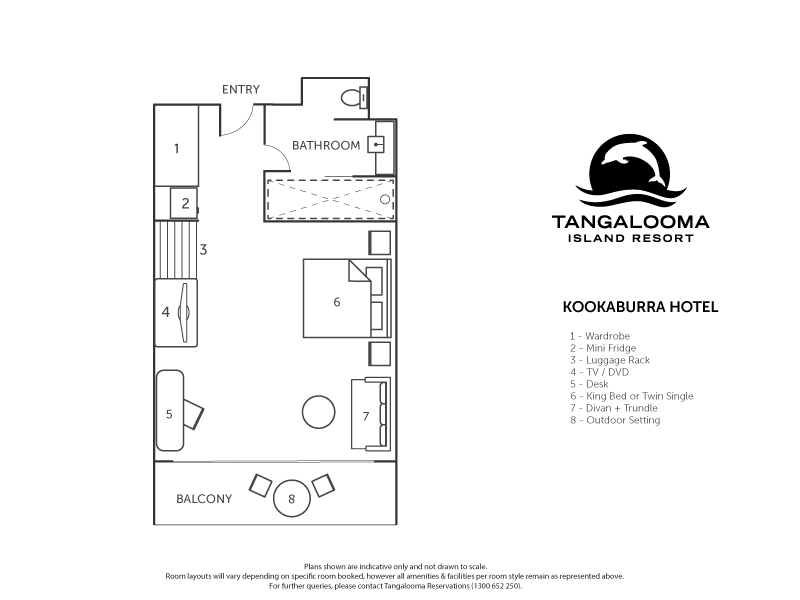 Located just a short walk from the Resort Centre and only 50 metres from the iconic Tangalooma beach, the Kookaburra Lodge is set in quiet and tranquil surroundings and overlooks beautiful Moreton Bay. Each spacious air-conditioned room opens on to a private furnished balcony, perfect for watching the magnificent sunsets over Moreton Bay,the Glasshouse Mountains and Brisbane. All Deluxe Rooms are located on the upper floors of Kookaburra Lodge and include additional luxuries such as wine and chocolates on arrival, crisp white towelling, bathrobes and slippers, and guaranteed ocean views. Disabled access rooms are also available, please advise our reservations team if you require this option at the time of booking.